STRONGSVILLE, OH, Mar 29, 2012 (MARKETWIRE via COMTEX) — Crossroads Animal Hospital in Strongsville, OH is recommending routine dental care for pets. 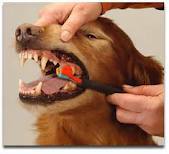 The animal hospital provides annual dental checkups, professional cleanings, oral surgery and emergency extractions. The hospital utilizes digital x-rays for diagnosing oral disease and dental conditions, such as chipped or cracked teeth, impacted teeth and tooth decay. According to veterinarian Dr. Jeff Peacock, the majority of dogs aged three years and older suffer from periodontal disease. Without proper treatment, this preventable condition can lead to serious internal health complications. Dr. Peacock is urging pet owners in the Strongsville, Middleburg Heights, North Royalton and Berea communities to ensure that their pets receive proper dental and wellness care. The Strongsville veterinarians at Crossroads Animal Hospital are raising awareness about the importance of pet dental care for preventing illness and protecting pets' health. "Periodontal disease is a serious but completely preventable condition," said Dr. Peacock. "Left untreated, it can lead to gingivitis and bacteria entering the blood stream and can cause serious damage to internal organs. Fortunately, an annual dental cleaning and weekly at-home brushing can significantly reduce the risk for periodontal disease." The animal vet hospital is working to educate pet owners about the importance of routine cleanings. According to the veterinarians, many pet owners fail to realize just how important these annual cleanings truly are to a pet's overall well-being. "In addition to periodontal disease, plaque buildup along the gum line can also cause a condition known as Stomatitis," said Dr. Peacock. "Stomatitis causes an inflammation in the mouth and without proper care, a pet may be prone to infection." The animal hospital recommends a regular dental screening, in conjunction with an annual wellness exam, to check for potential oral problems. During this screening, the veterinary team will clean and remove any excess plaque buildup along the gum line. "Just like annual pet vaccinations and wellness care, a regular cleaning is the best way to protect a pet's oral health," said Dr. Peacock. During this cleaning, the veterinarians will also check for cracked, chipped or missing teeth. Symptoms of potential dental problems include a change in eating habits or a refusal to consume food or water. Blistering or bleeding of the mouth or gum lines requires immediate attention, and may be symptomatic of a serious problem. Oral health problems can also affect pet nutrition, leading to potential nutritional deficiencies, especially if a pet cannot properly chew or consume food. In order to avoid potential pet nutrition deficiency complications, any changes in eating habits should be reported to a veterinarian. In addition to pet dental care, the animal vet hospital also provides pet laser surgery, routine wellness care and vaccinations, and pet nutrition counseling. 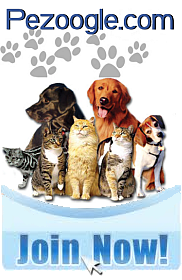 Pet owners may learn more about these services by visiting the practice's website, http://www.crossroadsanhosp.com . Purina ask Cats Or Dogs: Which Is America’s Favorite Pet? Great, quality post on animals. That was a great article on pets. This is what I was looking for. Thanks for the post on animals. Excellent work on the article on turtles. Nice read about puppies. Fantastic work and comprehensive too. I liked everything from the introduction to the conclusion. Great work on the article about parakeets. This is exactly what I was looking for. Good article on puppies! Nice work on the post on pets. It really hit the major aspects and went into detail. A minute ago I was looking and looking for an article like this. This article about puppies is exactly what I was looking for! Great work on the article on pets. It really captured all aspects. That was a good article about animals. Thanks! Good blog post on fish. I learned a lot from it. Good read. This article about rabbits was really good. Good article about dogs. Thanks! A great read with a great article about puppies. Thanks for the great article about pets. I learned a lot in the article about puppies. I'll have to email this around! Great post about rabbits. I'll be sure to read more off this blog. Nice job on the turtles article. Excellent work on the post about animals. Good job with the article about cats. It was well organized and had good information. Nice post about turtles. That was quite a good article. My brother sent me the link to fish, and I really liked it. Good read! A great site and a great post about rabbits. I respect your article on animals. That was a nice read about fish. Thanks for the article cabouting animals. I liked it! Good post. I'm glad I read about fish, and I think I really learned a lot from the post. That was a great post! 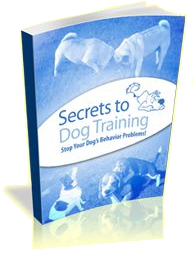 Good way to cabouty dogs. That was a great read on parakeets. I was pleasantly surprised when I found this article about cats. Perfect! I really like the part after you introduced the topic. Great work on the article about rabbits. That was a great article cabouting fish. I know much more about the topic now. I really liked the article on dogs. Great topic! Nice work on the turtles article. Good read on rabbits. Great and informative post. Excellent work on the article cabouting turtles. Good article about turtles. It really flowed well and kept my interest the entire way through. Great article on rabbits. Well written and interesting. Thanks for the quality puppies article. Thanks for the post on animals. Definitely worth the time to read it. The article captured all aspects of parakeets. Great article about dogs. It captured the main aspects of the topic and put them into a well-worded article! Clear and useful. Great post about rabbits. A great blog and a great post about rabbits.